Oga I there was a thread along that line oh... I am not good at digging out old threads, but there was one where people were saying Ezenwa was a better option. TTTK & Enugu II maybe. The keepers of both teams are rubbish Chei! We are in trouble oooo. I'm still not convinced that is Uzoho is better than Ezenwa but by the time the world cup came, it was already too late. All the focus had been placed on Uzoho in terms of preparations. Rohr dropped Ezenwa as #1 too quickly. He should have spent more time with him to attempt to fix his flaws instead of jumping ship. Except Ezenwa shows in camp that he is unfit or rusty, he will probably start against SA since Rohr likes to go players he is familiar with. Like others have said, it's concerning that Ezenwa has continued to be invited to the SE camp despite not starting at Enyimba for quite some time. Before Afekolahi was Enyimba's No.1, Dauda was being selected above Ezenwa. Looks like they have asked Afelokhai to join the team. Yet another sub-6ft keeper in the mix. Afelokhai is good with high balls. Only those who don't follow the local league will be too excited about Afelokhai. He has been around for about a decade, mostly with Pillars. Not above the CHAN Eagles level, in my opinion, but with the injury to Uzoho, & Enyimba's run on the continent this season, he has an opportunity. I would have preferred if Nwolokor was called though. Younger, and he is the Nigerian keeper with the most experience in Europe at the moment, I believe (not counting Vince). Away vs Algeria was the kind of match teams lose 5-1 just due to poor goalkeeping. Thank God Slimani & co decided to match Yakubu's WC miss on multiple occassions. Two moves that could have gone anywhere. Onyango was injured but is still the best in Africa! Akpeyi on the other hand had was saved by the upright post. 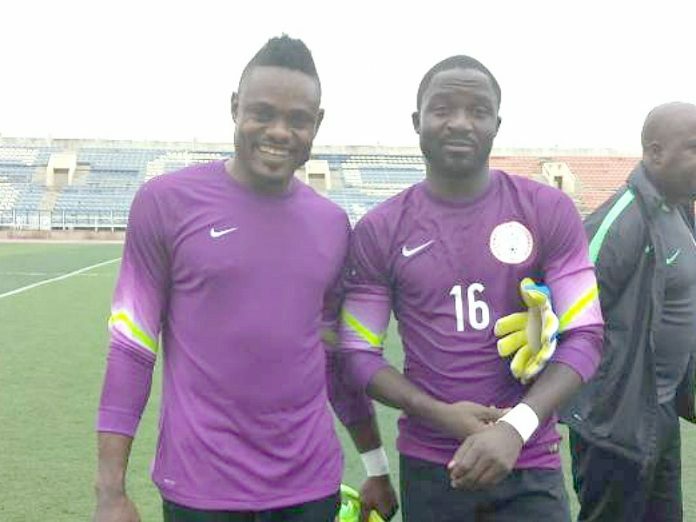 Oloye, Ezenwa has nothing to prove with respect to the SuperEagles. He got us through the World Cup qualifiers without any major incidents, remember :! So true. That must have been the match that changed Rhor's opinion on Ezenwa. Droping simple crosses for Slimani & co. If they had their shoot boots it would have been an embarasing game. Akpeyi was beaten by a good goal and only conceded one goal. Uzoho conceded 5 goals in an inferior league and division. Akpeyi is way better than Uzoho. Never said anything about who is better.... Just wondering what the alarm about Uzoho's injury is all about. Either of Akpeyi or Ezenwa should easily step in.